Summer theatres are gearing up: lots of opportunities to volunteer your spare time to help keep great theatre alive in the valley. See the opportunities section below for details about working with New Century Theatre or Hampshire Shakespeare Theatre. 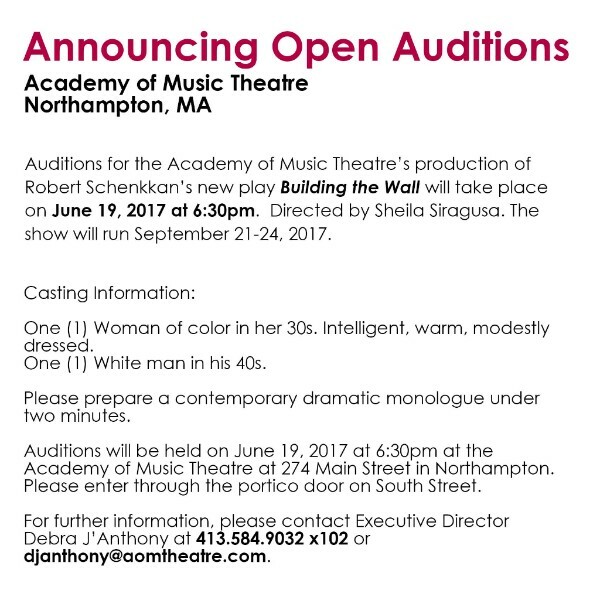 If you'd prefer to be onstage, there are a number of auditions listed below as well! We are in trouble. As artists under this new administration, we will be facing drastic financial cuts to our livelihoods. With many theatres already doing co-productions to save money, it is devastating to look at the financial disinvestment in culture and arts that is headed our way. The new budget under the current administration plans to cut 973 million dollars from arts discretionary spending. The proposed Presidential budget, slashing arts funding in such a drastic fashion, sends a definite message that art and culture are not worthy of support. With the travel bans on Muslims, and LGBTQ protections for workers being revoked via executive order, and the attorney general looking to dismantle the consent decrees on correcting racism in policing practices—what this amounts to is an attack on difference. A concerted effort to push those of us who are "other" (black, brown, red, yellow, female, LGBTQ+, gender non-conforming, seemingly anything other than white male heterosexual Christians) to the outside, and make us feel less than, excluded, and simply not wanted. The message is clear from the rallies where Trump encouraged his followers to attack a black woman. If you are other, you are not a part of "Making America Great Again.” What do we do as artists? The Town of Conway’s 250th anniversary celebration, in association with Silverthorne Theater Company, kicks off June 9 and 10 with SIX BY SIX BY SIX – six short comedies interspersed with six musical and other acts, presented free of charge at the Conway Sportsman’s Club. 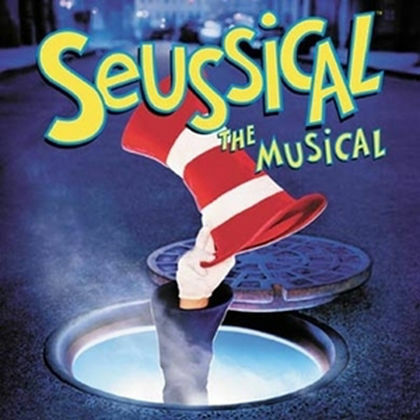 Performances will be held on Friday and Saturday, June 9 and 10, at 7:30 pm, with a matinee at 2 pm on Saturday. The Conway Sportsman’s Club, located at 193 Elmer Road in Conway, built a full stage for the event. Admission is free for all, but advance reservations are recommended as seating is limited. Reserve space by calling 413-369-4301, or writing to jzinnie@comcast.net. Audience members should come early to claim their seats & enjoy pre-play music, burgers, hotdogs, coffee, soft drinks, cookies and snacks. BYOB. The Sportsman’s Club is handicapped accessible with plenty of on-site parking. Get directions to the Club at 193 Elmer Road in Conway by calling 413-369-4301, or writing to jzinnie@comcast.net. 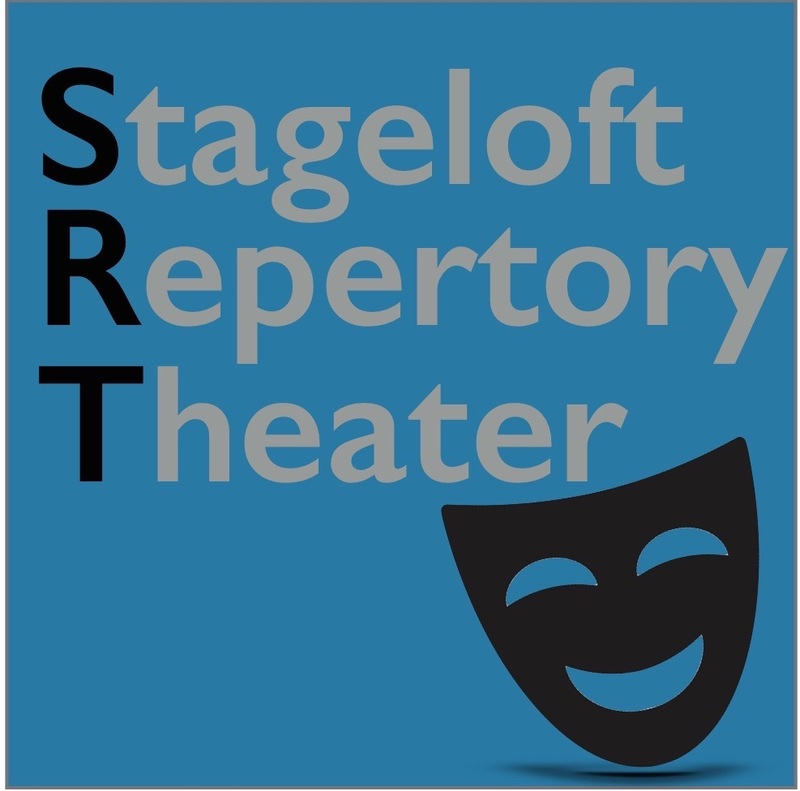 The roster of plays for each performance includes Mrs. Sorken, by Christopher Durang, directed by Rebecca Daniels of Turners Falls and featuring Carmela Lanza of Shelburne Falls. Brianna Sloane (Northampton) directs Best in Class by Worcester playwright Ann Marie Shea, with Valley actors Moe McElligot, Andrew Roberts, Linda Tardif, and Troy David Mercier. Conway resident Michael Haley directs two shows: Best Daddy, by Shel Silverstein, with two first-time performers, Claire Conklin and Bud Ware, both of Conway. Claire is 14 years old and attends PVPA. 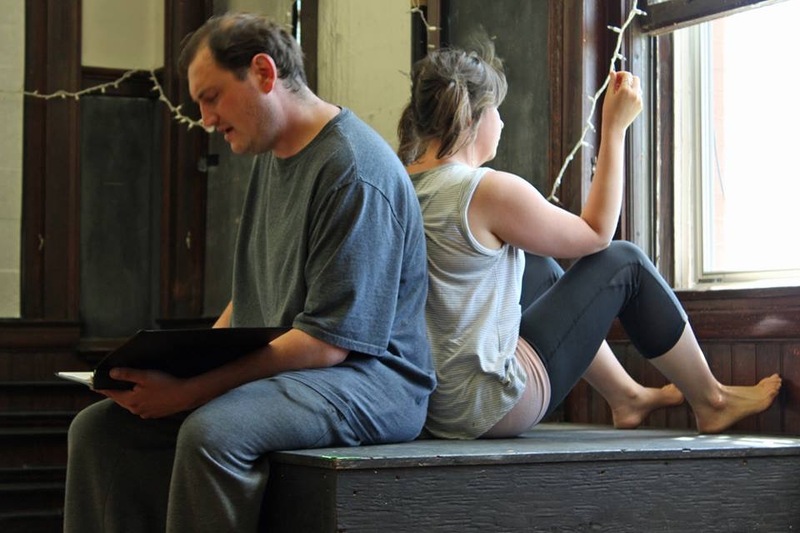 Haley also directs the World Premiere of his own work, Betty Baker’s Buttermilk Biscuit Barn, or B-5, with a large cast of local actors including Ann Steinhauser, Mike Curry, Marvin Shedd, Lorraine Boyden, Joan Haley, Justus Conant, Chris Devine, John Reese, and Troy David Mercier. David Rowland (Gill) directs Robert Anderson’s hilarious homage to loss of memory, I’m Herbert, in which he and fellow Gill resident Sheila Heffernon play Herbert and Muriel (at least they think that those are their names!) On Break at L.L. 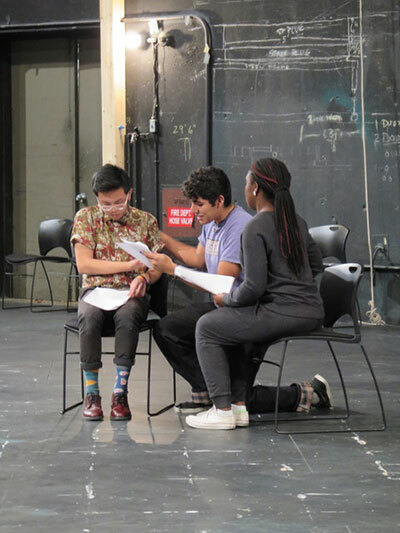 Bean, by Donetta Lavinia Grays, introduces us to Ali and Jerome, played by Tang Sauce and Olusanya Bey, under the direction of Hannah Simms of Hartford. Some of the Acts to be performed in between the plays will include Chris Devine, Tj Conroy of "TJ & The Peepers", Janet Ryan, Sugarloaf String Band, Rosie Caine & her Trine Cheile Irish group, Justus Conant, the Cripps Puppets, and others to be announced. Construction of the stage was made possible through the generosity and volunteers of the Conway Sportsman’s Club and Conway’s 250th Committee. Silverthorne Theater Company, resident professional theater at Greenfield’s Hawks & Reed Performing Arts Center (formerly The Arts Block) , recruited directors and actors, and provided technical and public relations assistance to the project. STC’s John Iverson donated the lighting instruments. 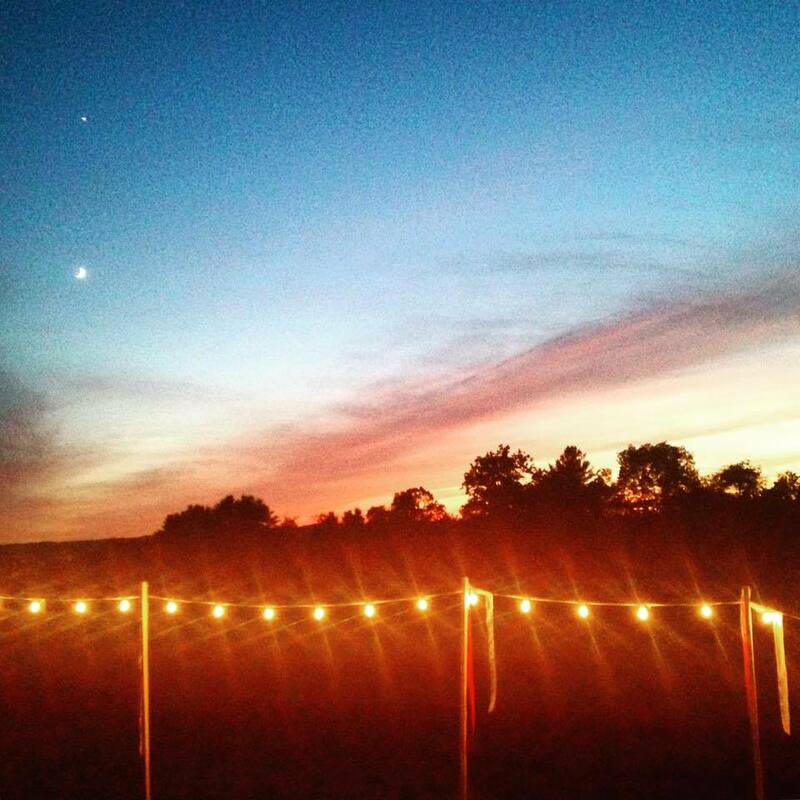 The festival is funded by the Town of Conway’s 250th Celebration. Performances are June 9 through June 25, Fridays and Saturdays at 8PM, Sundays at 2PM. Saturday, June 10th at 8pm at the 121 Club, Eastworks (116 Pleasant Street, Easthampton). All-new monthly improv comedy show! 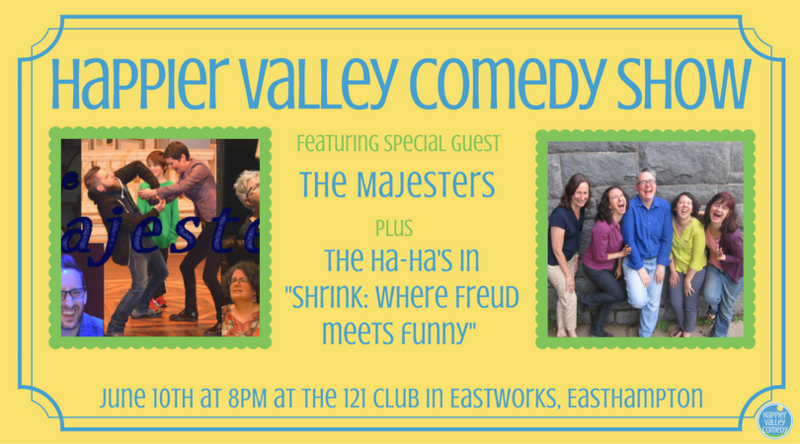 This month features special guest The Majesters plus The Ha-Ha's perform "Shrink: Where Freud Meets Funny." Tickets: $13 at the door. For more info: www.happiervalley.com. Open improv jam for everyone and anyone to play and watch improv games, plus a showcase set featuring students from Happier Valley Comedy's Harold Two class. Free show (one drink minimum). For more info: www.happiervalley.com. Last fall, TheatreTruck's original production, The Water Project, drew over 300 audience members to New Salem for an immersive theater experience set to live music. This summer, the musicians of The Water Project come together for an evening of fabulous live performance in support of TheatreTruck. Carrie Ferguson and folk ballads howled without apology from Emma June. Proceeds from the evening benefit TheatreTruck and the upcoming original production, The Mill Project in Leeds, MA June 22-25! Saturday, June 17th at 4-5pm at the Community Room (Suite 160) Eastworks (116 Pleasant Street, Easthampton). Tickets at the door: $10/Adults, $5/Kids, Free/3 yrs and under. For more info: www.happiervalley.com. 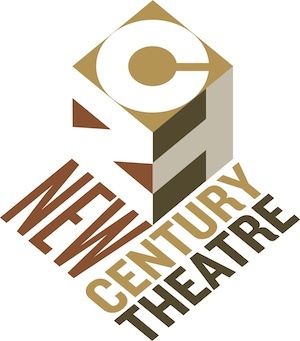 New Century Theatre presents a new staged reading series in June featuring two new plays by local authors. Our staged reading series will take place in the sanctuary space at First Churches. Where's Annie? Who's Annie? And what have Jack and Birdie done with her? 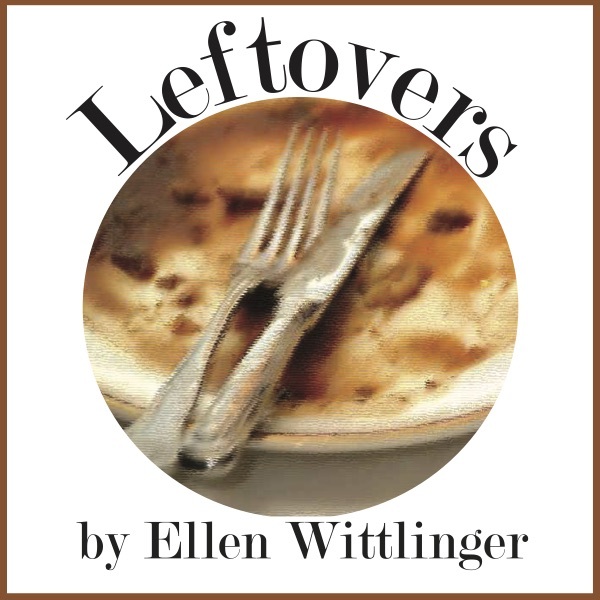 In this dark comedy, Sarah Bitts returns home to confront her estranged grandparents, only to discover that the eccentric pair hides a past more frightening than she imagined. Originally workshopped at the Lark Play Development Center in New York City. Tickets are $5 and available online or at the door. Audition applications can be found on the website, along with a song list, character descriptions and additional audition information. Please be prepared to sing a song from the show, and expect to learn a short group dance. A pianist will be available for accompaniment; no CDs please. Named roles only will be held on Monday, June 12th and Tuesday, June 13th at 6:00 pm in the Auditorium at South Hadley High School. Those wishing to audition for the adult or youth ensemble should come to auditions on Monday, June 19th at 6:00 pm, also at South Hadley High School. Each named role will have a specific song they will be required to sing and there will also be short readings from the script. Those auditioning for the Ensemble may sing a Broadway song of their choice; a cappella is also acceptable. For character list and song list see www.blackcattheater.pbworks.com, the Black Cat Facebook page or email blackcattheater@gmail.com. All candidates under the age of 18 must be accompanied by a parent/guardian. Applicants should bring a short write-up of previous theater experience with them. 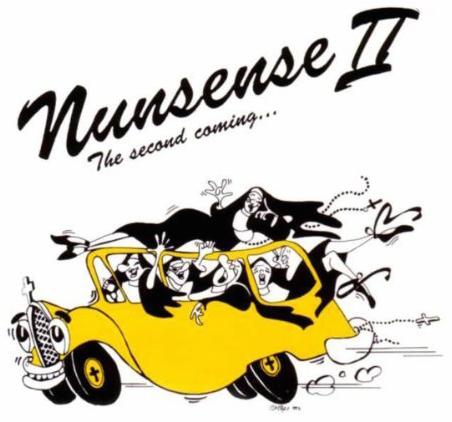 Nunsense II is expected to be produced at South Hadley High School in mid-November. Rehearsals are primarily on Monday and Thursdayevenings (with occasional Wednesdays) starting September 11th. 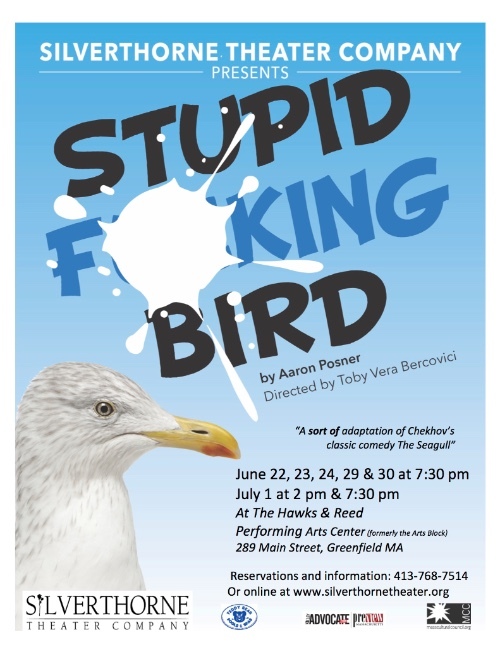 SPECIAL FREE CLASS: Audience members interested in acquiring special insight into STC’s production of Stupid F***ing Bird can take part in a FREE two-session enrichment experience led by Silverthorne Theater Company's dramaturg Josh Platt. Participants will have the opportunity to learn about this play’s link to Anton Chekhov’s masterpiece The Seagull and then to read The Seagull together as a group before attending a performance of SFB. The class will meet June 17 and 24 from 1-4 pm in The Green Fields Market meeting room (off the Mezzanine) 144 Main St, Greenfield. 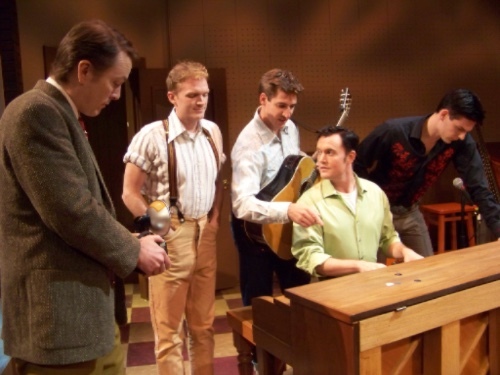 The group will have a special private conversation with director Toby Vera Bercovici after the July 1 matinee performance. 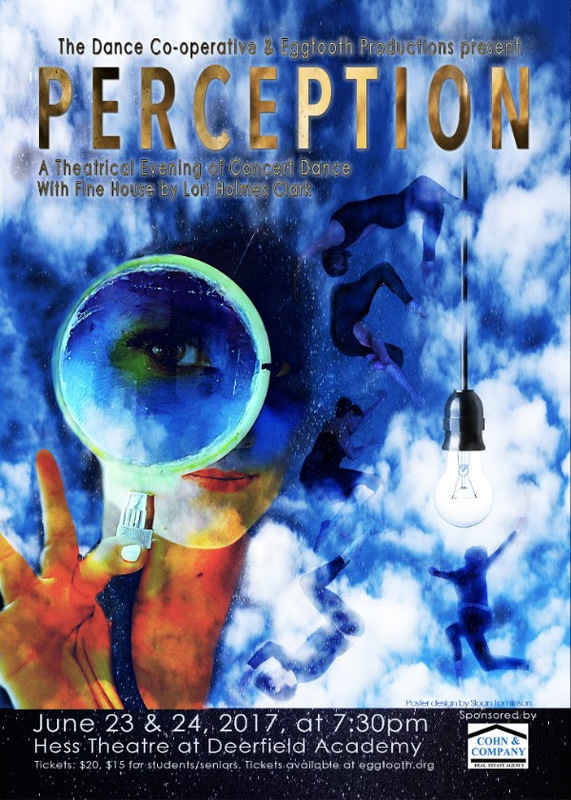 Discount tickets will be available for class members at this or any other performance of SFB. 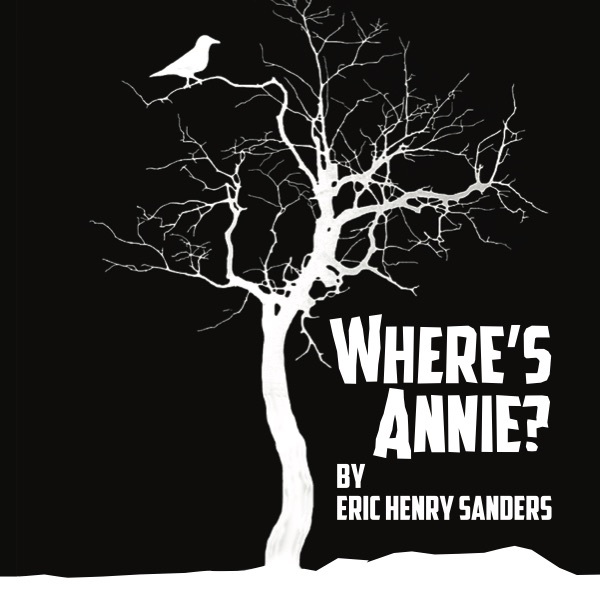 Support for this production is provided by The Valley Avdvocate/Preview, the Massachusetts Cultural Council, and The Hawks & Reed Performing Arts Center. Ms Abend’s performance is sponsored by Teddy Bear Pools.